In this section of GeekHistory we put some of the buzzwords into perspective to help you understand and appreciate great inventors and technology innovators. In the previous article we took a look at a true visionary Jules Verne. Visionaries see what is possible, often before the technology exists to make it real. There are people like Henry Ford, who spanned multiple categories, who take an invention and develop it into an industry. Let's use Ford as an example to look at the buzzwords. Henry Ford didn't invent the automobile. German engine designer Karl Friedrich Benz is recognized for the invention of the first automobile. He Benz received a patent for the Benz Patent Motorcar in 1886. His Benz Patent Motorcar powered by an internal combustion engine. But Benz invented the automobile using the internal combustion engine, which was developed by German engineer Nikolaus August Otto in the 1860s. Henry Ford didn't invent the assembly line, nor did he invent the concept of an automotive assembly line. Ransom Eli Olds, for whom both the Oldsmobile and REO brands were named, is credited with designing the basic concept of the assembly line. At the Old Motor Works in Detroit he mass produced the Curved Dash Oldsmobile becoming the leading American auto producer from 1901 through 1904. By 1901 Olds had built 11 prototype vehicles, including at least one of each power mode: steam, electricity and gasoline. 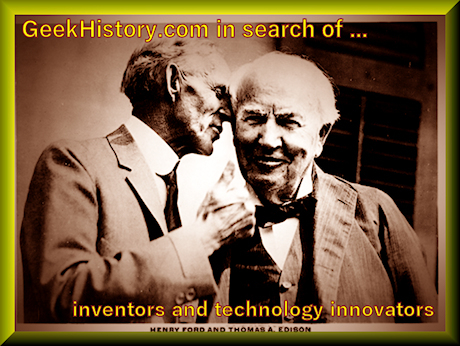 No, Henry Ford did not invent "the automobile," but Henry Ford was an inventor of automobiles. Henry Ford designed his first car, the Quadricycle, while he was employed by Thomas Edison. No, Henry Ford did not invent "the assembly line," but Henry Ford was the first to use a moving assembly line to manufacture cars. Henry Ford perfected the assembly line producing a entire Model T Ford in 93 minutes. 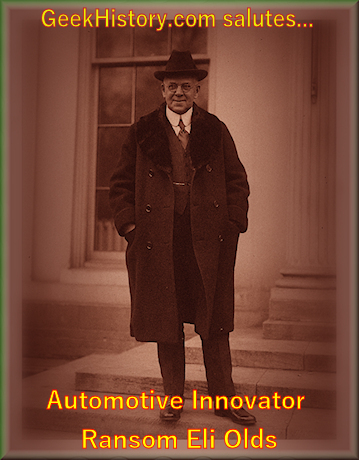 Henry Ford created lower cost automobiles, and created an industry. 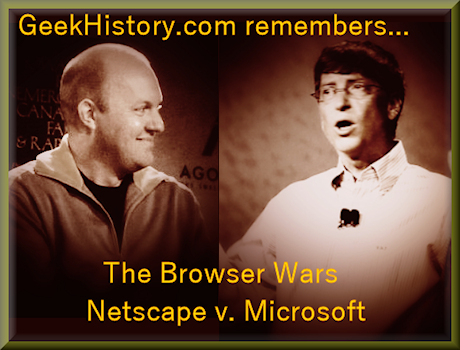 As we now look at the development of the web browser, it is important to note the distinction between the World Wide Web and the Internet. Simply put, the internet is the highway system, the World Wide Web is the vehicle used on the highway. The internet is an intelligent highway system. It sets up the rules and methods that traffic uses on the highway system. These rules are called protocols, such as TCP/IP (transmission control protocol/ internet protocol), the main set of rules for the highway. Once you agree on the highway system, the next step is to standardize on the different things that can travel on the highway. The WWW (World Wide Web) is a vehicle used to travel the highway. HTML (hypertext markup language) is used to build Web Pages (HTML pages) the core of the vehicle. The main purpose of the internet is to have a standard highway system. A very quick lesson on network technology, you have a relationship with large centrally located computers called servers, and the local desktop computers which are the clients. The server, which as the name applies, is a device which serves something up that is requested. The client is the computer that makes the request for something from the server. You will sometimes hear the phrase client application to describe a piece of software that is installed on your local computer. The client application in the case of the World Wide Web is the web browser. Tim Berners Lee is credited with developing the technology of web servers, hypertext transfer protocol (HTTP), and developing the document format that is used to build the web pages, hypertext markup language (HTML). When Tim Berners-Lee developed HTML he made the first website, and the first web browser, on a NeXT Cube running the now obsolete NeXTSTEP Operating System.